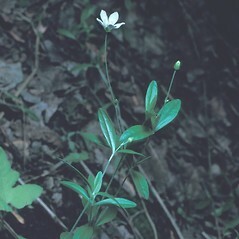 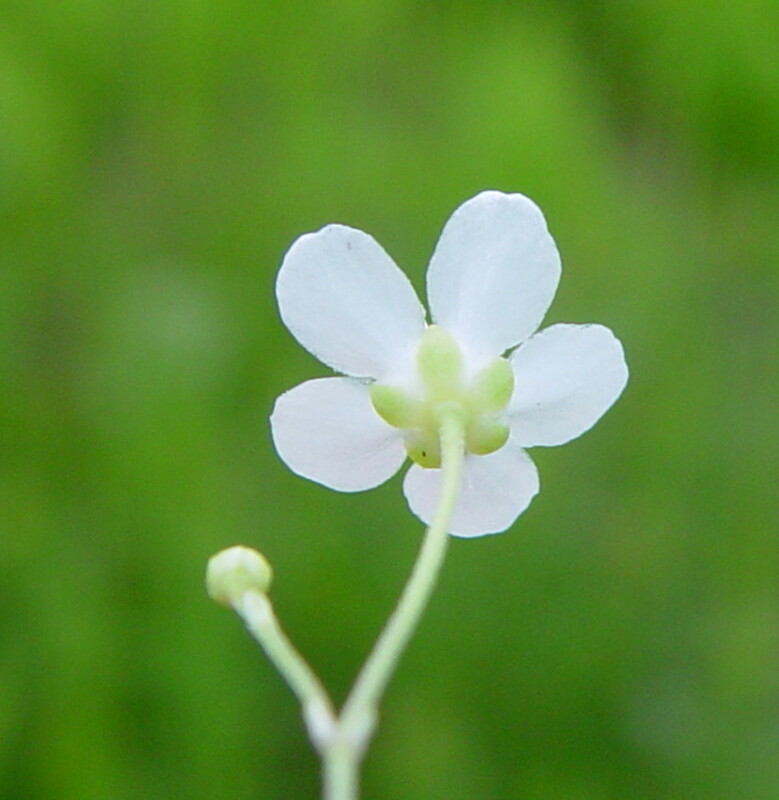 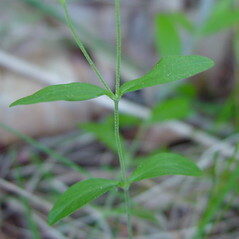 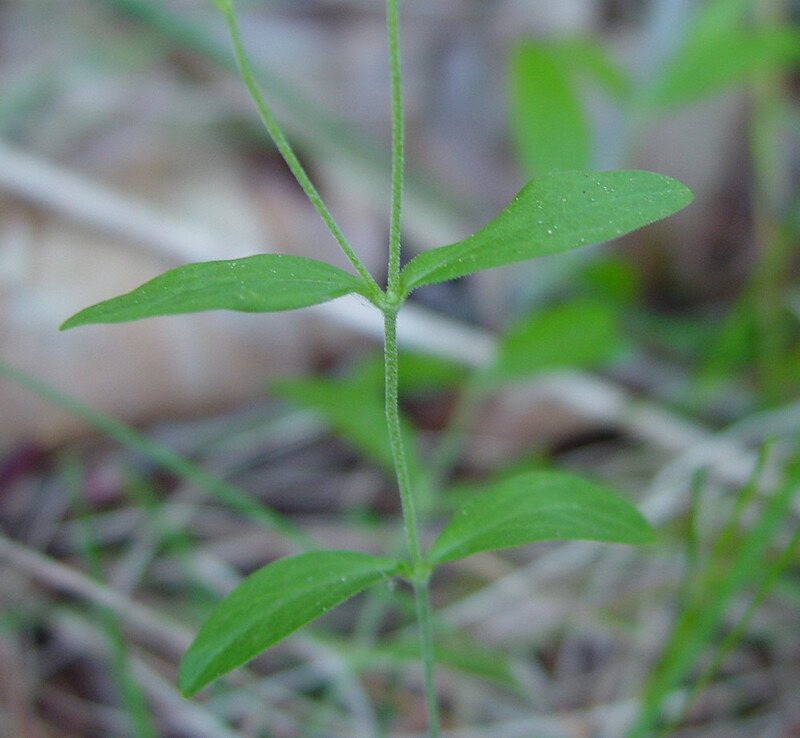 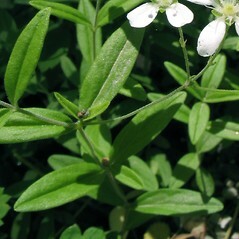 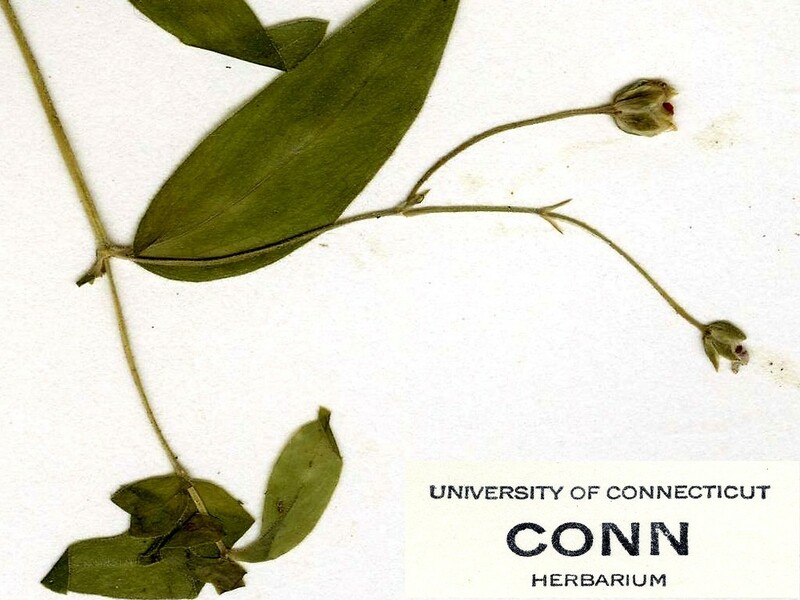 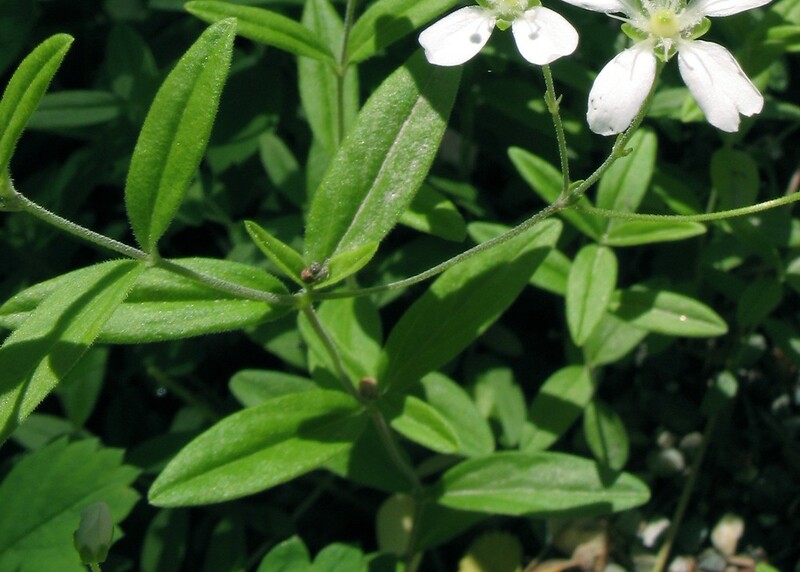 The flowers of blunt-leaved grove-sandwort may be either fully hermaphroditic (possessing functioning male and female parts), or female only, with abortive anthers that are sterile. 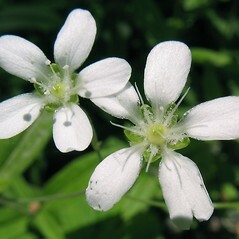 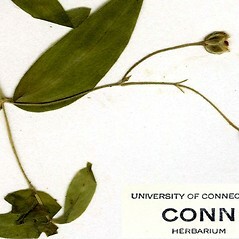 Though the female only flowers are smaller and less attractive, they set just as much seed as the hermaphroditic flowers. 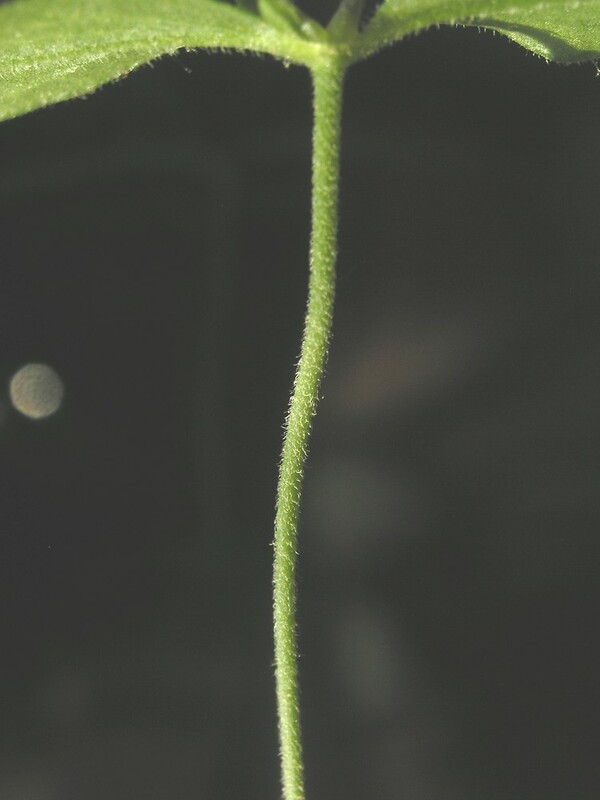 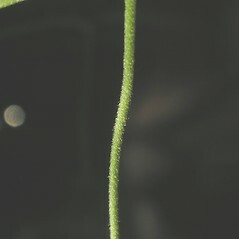 sepals 3–6 mm long, acute to acuminate at the apex, leaf blades glabrous, usually acute to acuminate at the apex, and seeds 1.3–1.6 mm long (vs. M. lateriflora, with sepals 2–3 mm long, obtuse to subacute at the apex, leaf blades ciliate, obtuse to subacute at the apex, and seeds mostly 1–1.3 mm long). 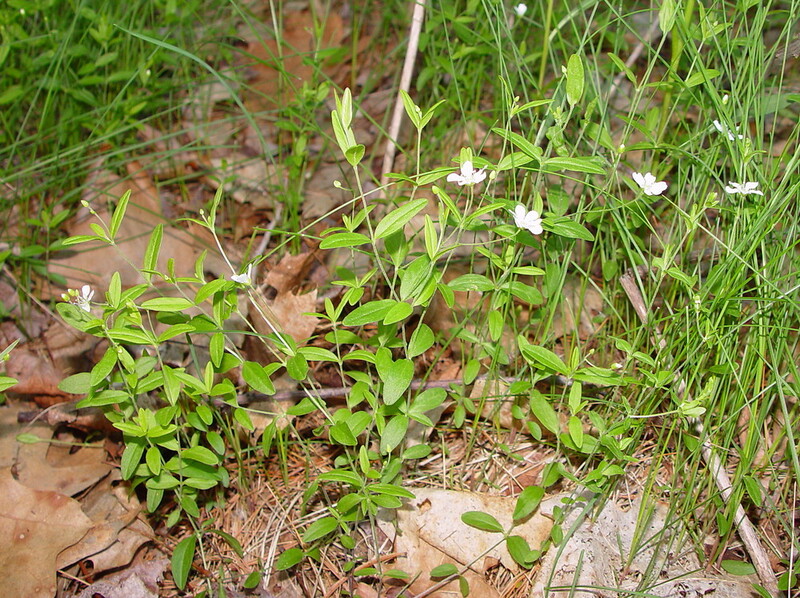 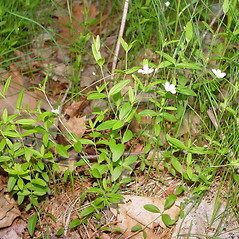 blunt-leaved grove-sandwort. 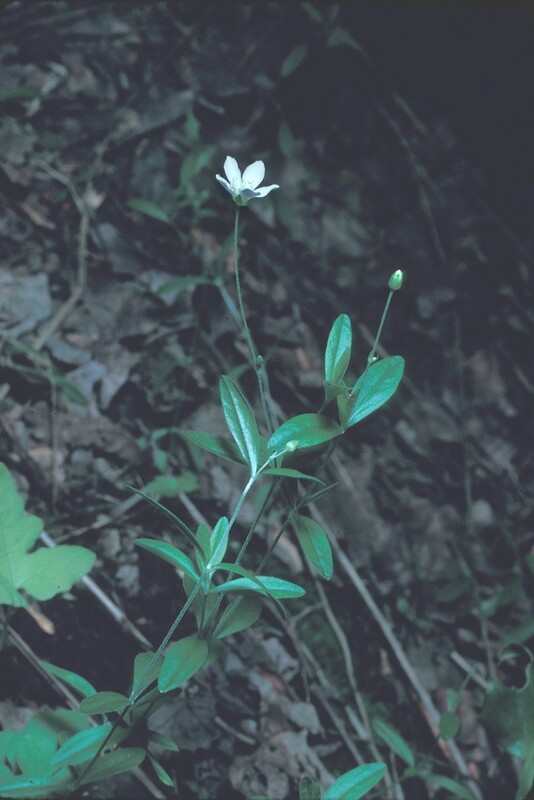 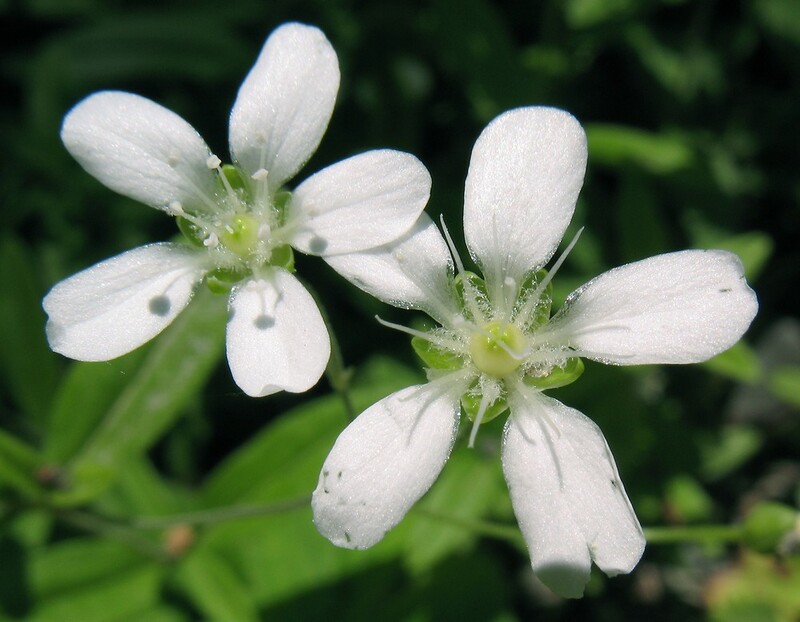 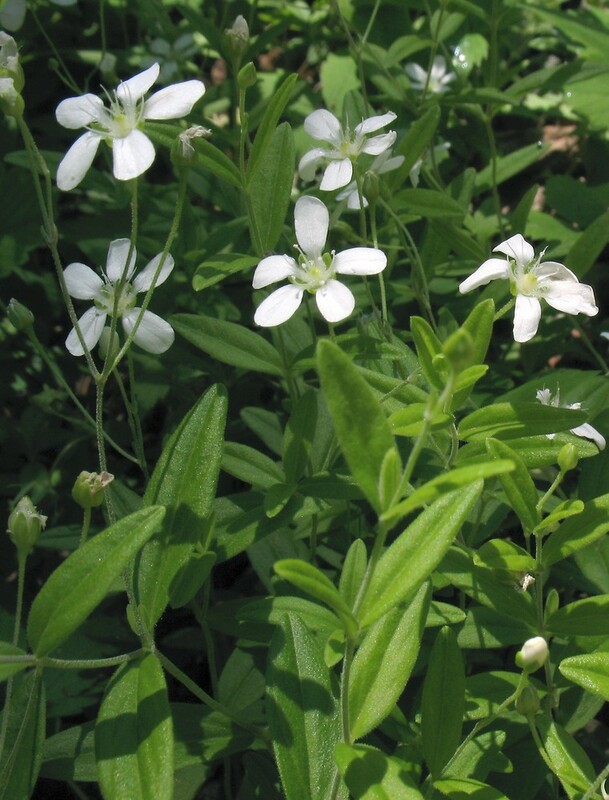 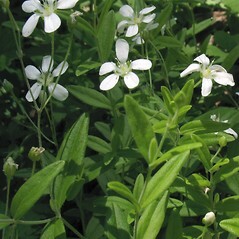 Arenaria lateriflora L. • CT, MA, ME, NH, RI, VT. Forests, woodlands, river terraces, borders of fields, shorelines.